Home / SkinCare / Men's Grooming eShave. 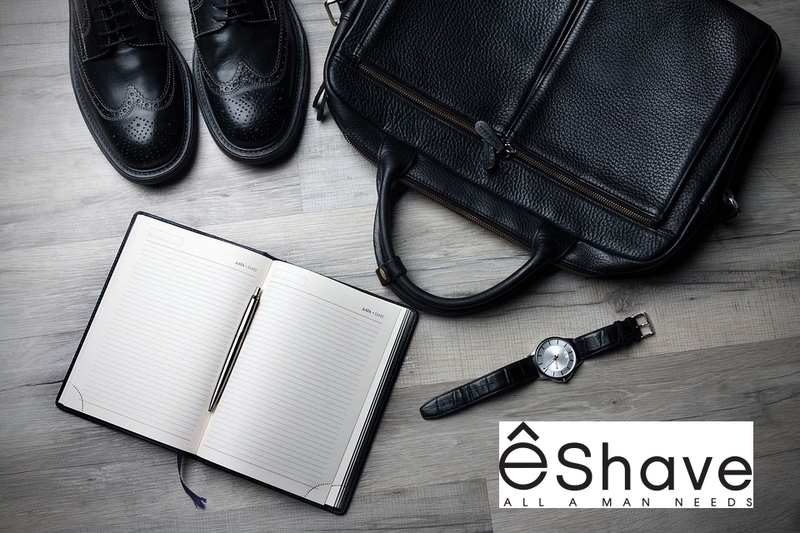 eShave is an award-winning men's grooming brand that is dedicated to making guys around the world look and feel their best everyday. 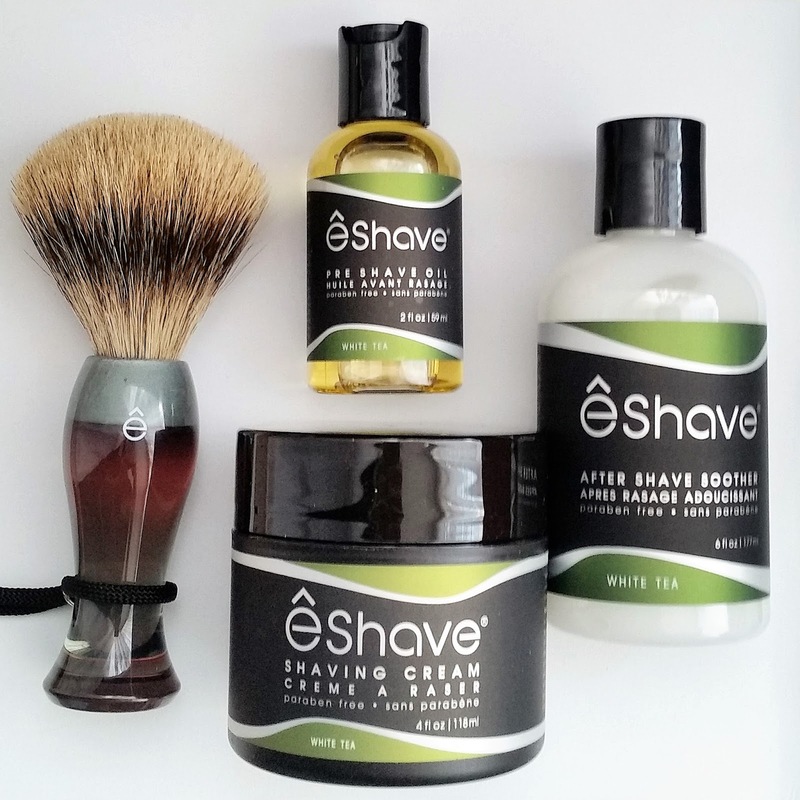 Introducing the 3 steps shaving program to bring the barber experience home to every man and created to offer a shaving solution to all men's shaving issues, eShaves product line is highly popular. 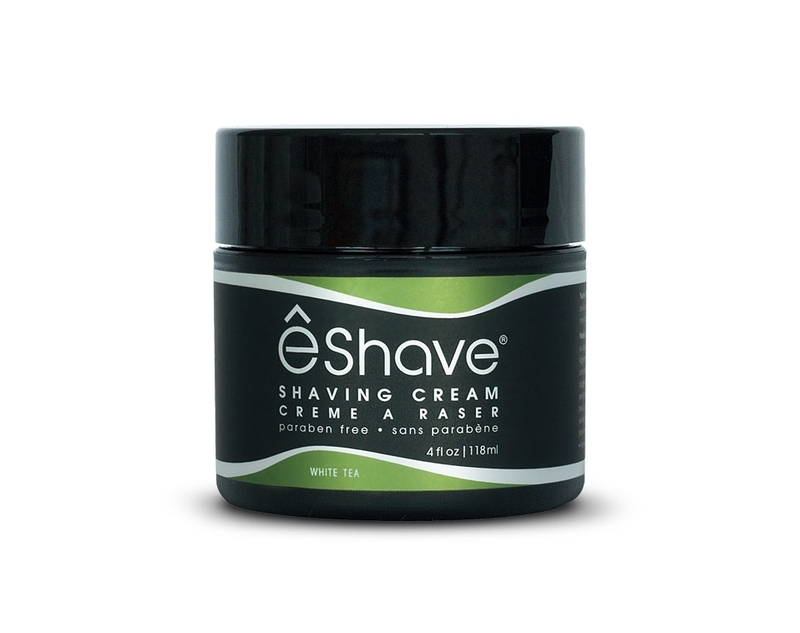 eShave uses minimal packaging and is one of the first vegan line with vegetable based formula's. It is also a paraben free, sulfate free, SLES & SLS free and their formula's are constantly revisited and updated with today’s newest findings. eShave offer the traditional wet shaving experience, but with an updated grooming experience men will enjoy using every day. Luxury handcrafted shaving brushes made with hand-turned Lucite handles, used in conjunction with their white tea shaving collection, will take your mundane shaving routine to a highly enjoyable grooming task. The silvertip badger hair shaving brush is the ultimate must-have shaving tool to prepare yourself for the perfect shave. eShave shaving brushes are made of 100% badger hair (badger hair is the only hair that retains water) ensuring to keep hot water on your skin is one of the secrets to a close shave. 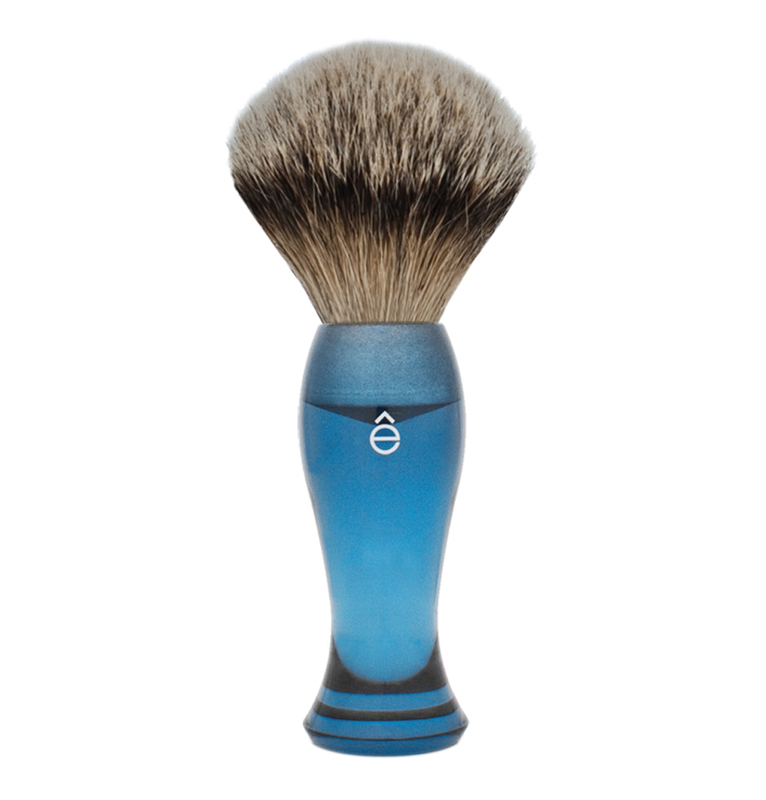 The shaving brush also exfoliates the skin whilst creating a rich lather, softens and raises hair for a closer shave and prevents shaving irritation. Silvertip Brush heads are hand assembled and should last 10 years or more when used properly. All eShave Shaving Brushes are hand made in house one piece at a time and make a great present for someone or will transform your own shaving experience. Pre Shave Oil White Tea. 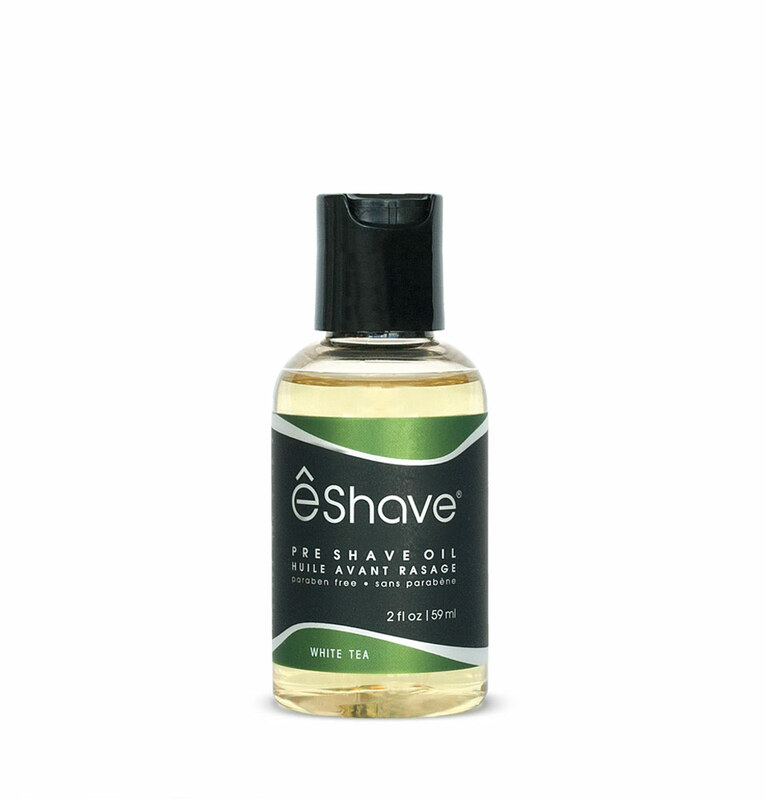 The eShave paraben free pre-shave oil is light weight in texture and efficiently prepares your skin for shaving. Formulated and well-balanced it will not leave your skin feeling sticky and wont clog your razor. Applying to wet skin after a hot shower or bath will provide protection by creating a layer between your skin and razor to help stop any irritation. The oil also softens and coats your facial hair to help your razor glide easily and you can also use the oil after shaving to restore moisture, calm redness and soothe any cuts or bumps. Generate a rich creamy lather when using this glycerin and coconut oil shaving cream. Applying to skin using the brush or your fingers you only need to use a little. Lathering up the cream will raise the hairs away from your skin, whilst also softening, to help you achieve a comfortable close shave without any razor burns or irritations. The 4oz jar will last you months offering you a more cost effective way to shave than gels or foams you maybe currently using. 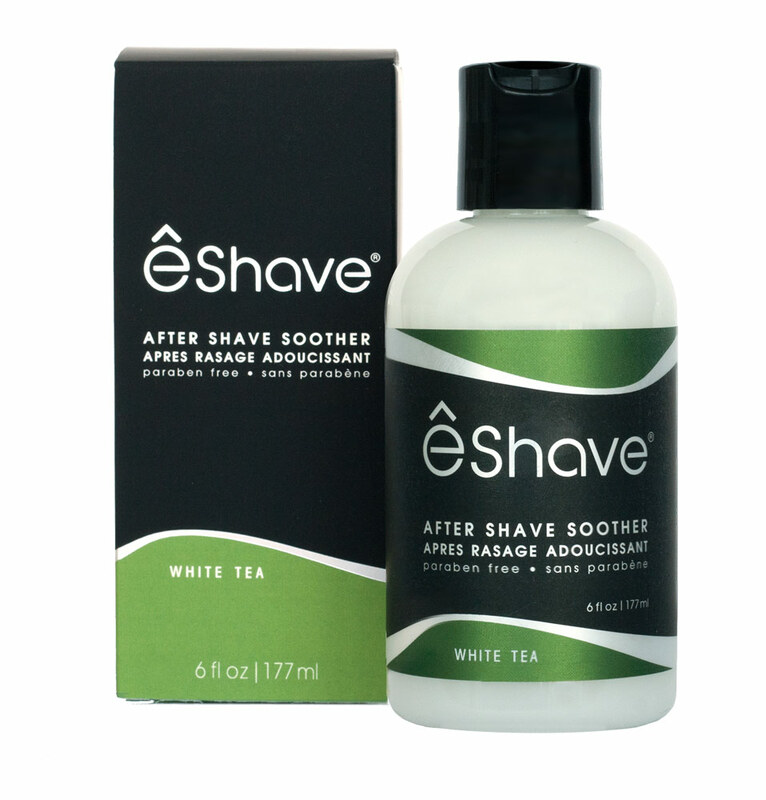 After Shave Soother White Tea. The simple but highly effective after shave moisturiser soothes and conditions skin after shaving. Massaging gently over dry skin, the non-greasy and lightweight moisturiser absorbs quickly leaving skin feeling soothed and refreshed. You can also use the moisturiser on your groomed body for a lightweight moisture replenishing experience. Finding the right products to perfect your shave can be a hard task, eShave provide the solution to your problem by providing a wide range to meet your needs. The products i tried each play a role to protect your skin, whilst also delivering a close shave without irritation and no ingrown hairs, now i know why eShave are the experts in men's shaving since 1996. Check out the luxury men's grooming brand and change the way you shave! X Neil.